Fitment: RXT TWIN DISC Steel Flywheel 6 Bolt LS Motor, LS1/LS2/LS3/LS6/LS7, 9-11/16" X 1-1/8 X 26 Spline. Ceramic/Ceramic Facing. 0 Balance 168T Flywheel. Clutch Patterns RST/RXT Steel Adapter Plate Pattern. Intended for the high horsepower street/strip fan, the McLeod RXT Street twin clutch kit is an economically priced twin disc clutch kit that does not require a dedicated flywheel( you use your existing flywheel) in most applications. 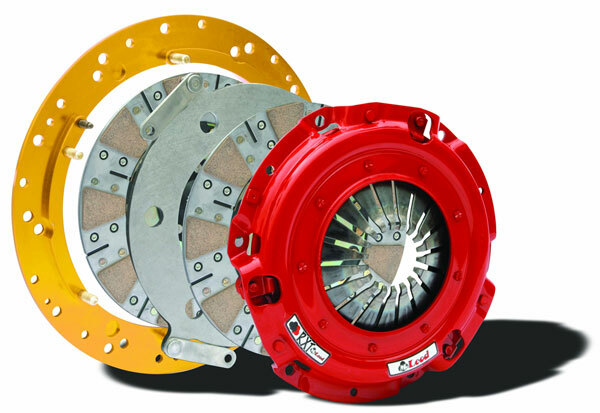 Able to handle 1000hp, this clutch can handle almost any horse-power you can throw at it and still remain street able. Metallic lined clutch discs will provide smooth engagement with a soft pedal effort to make this clutch kit ideal for the street performance enthusiast. Kit Includes: Pressure Plate, two ceramic friction discs, floater plate, Steel flywheel and pilot tool.